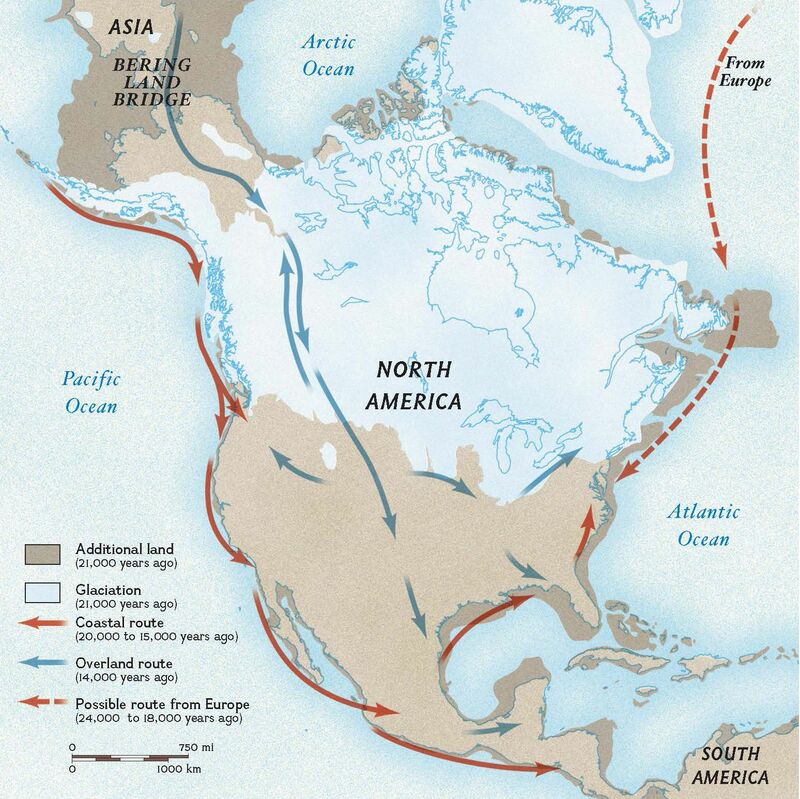 This map shows how a land bridge connected the continents of Asia and North America when the most recent ice age lowered sea levels. Scientists one theorized that the ancestors of today's Native Americans reached North America by walking across this land bridge and made their way southward by following passages in the ice as they searched for food. New evidence shows that some may have arrived by boat, following ancient coastlines.